FBC Christian Youth Camp: Quilt hangs in a place of honor! Quilt made from the signature blocks signed by the volunteers who helped with building the 10 cabins in the summer of 2002. With people from all over the US through the Men and Women of Action, a mission outreach of the Church of God of Cleveland TN, the cabins were built over a two week period of time. 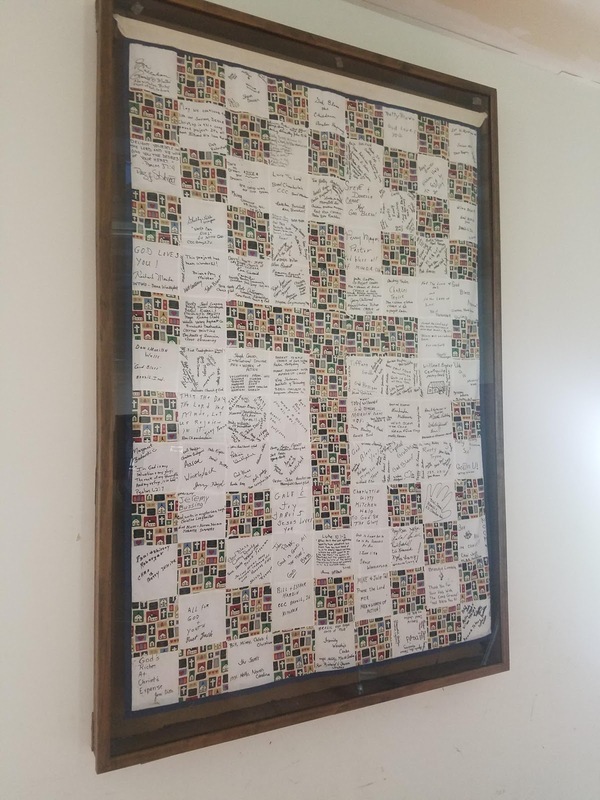 The quilt now hangs in a place of honor in the dining hall!